SPECT nuclear imaging of the left ventricle. 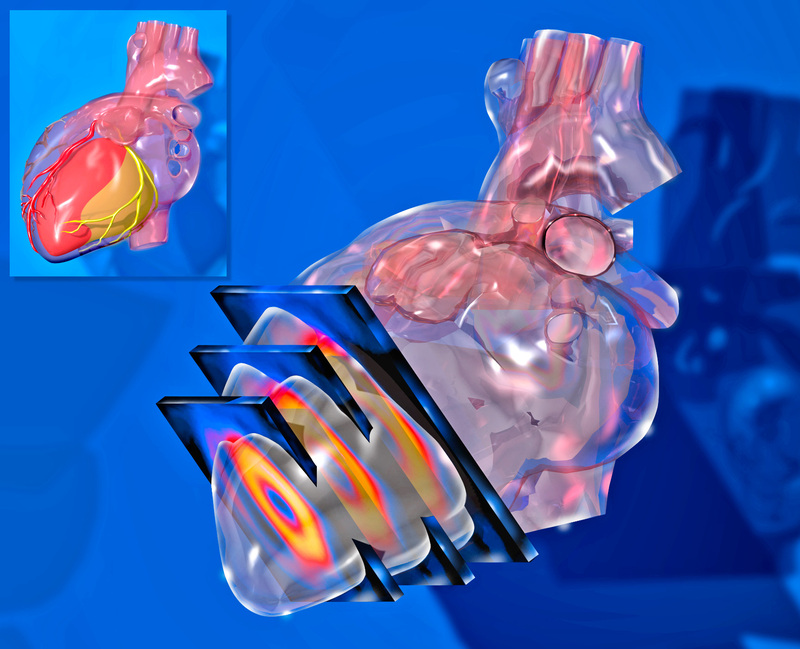 A composite of SPECT images and 3D modeling of the heart, refined in Photoshop. From about 1995.